The must attend festival for all chocoholics is set to be bigger and better than ever this year – with a special appearance from Scotland’s most awarded Chocolatier and some special boozy treats for adults. The Perth Festival of Chocolate, taking place on King Edward Street on Saturday 21st November 9am-8pm and Sunday 22nd from 10am-5pm, will have something for all the family – with special Martini Cocktails and chocolate infused red wine sure to keep the adults entertained, while children’s eyes bulge at the site of so many sweet treats. Following on from its success last year, the event will return on Saturday 21st and Sunday 22nd November, offering an exclusive shopping experience to remember. Iain Burnett, the renowned ‘Highland Chocolatier’, will be attending on Saturday offering up the opportunity to taste the world’s best dark chocolate truffle and discover the artistry behind his sublime skills. The truffle tastings will take place in the St John’s Shopping Centre, tickets are £1 each and are available at the Highland Chocolatier’s stall at the Festival on the day – however there are only 50 places available at each tasting session so booking is essential. There will also be a variety of other fine chocolatiers attending, sharing their knowledge and giving demonstrations within a market stall on King Edward Street, as well as a number of special offers. 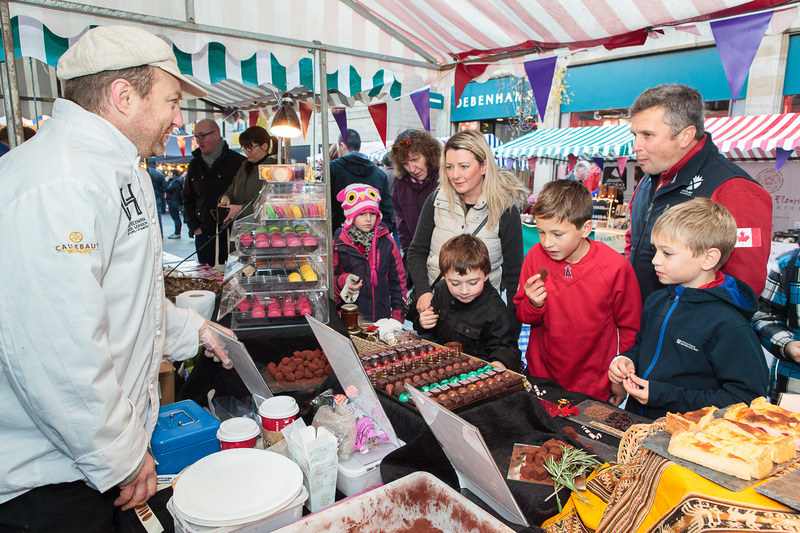 Councillor John Kellas, Convener of Enterprise & Infrastructure for Perth & Kinross Council, which hosts the City of Perth Winter Festival, said: said: “This year’s Perth Festival of Chocolate is back with a bang and is bigger than ever. Food and drink enthusiasts will love the variety of treats we have on offer. “There really is something for everyone from chocolate milkshakes at Willows Coffee Shop for the kids to the Chocolate Martini Cocktails at Café Tabou and the chocolate infused red wine at Exel Wines for the adults. Perth is the place to be over the next two months as it plays host to the biggest and best City of Perth Winter Festival yet – featuring highlights such as a spectacular Christmas Light Switch On, St. Andrews Day Celebration and even a Santa fun run – in addition to the much loved Chocolate Festival. The year’s bumper City of Perth Winter Festival programme is expected to attract visitors from all over Scotland and even further afield – as well as once again being a firm favourite with locals from the Perth City. For full details on the Perth Festival of Chocolate and City of Perth Winter Festival, visit www.perthcity.co.uk or contact 01738 475000. CAN OUR EDINBURGH PR AGENCY HELP YOUR BUSINESS?